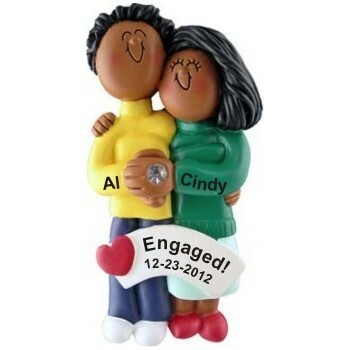 Bright smiles and a beautiful faux diamond are featured on this happy engaged couple personalized Christmas ornament. Give us the details you want added, and we'll hand letter them in a stylish font where shown. 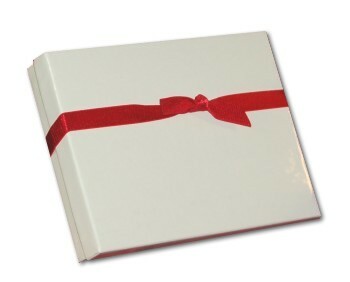 We include a holiday cord for displaying these couples ornaments personalized to make them special keepsakes. Your fiancé or engaged friends will be delighted with the African-American couple engaged personalized Christmas ornament when they receive it in our plush and pretty velvet gift bag. For engagement anniversary Dec 15, 2014 Markella W.